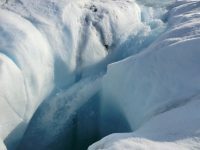 An improved technique developed by a graduate student at Lamont-Doherty Earth Observatory and her colleagues is making it possible to use airborne ice-penetrating radar to reveal meltwater’s life under the ice throughout the year. 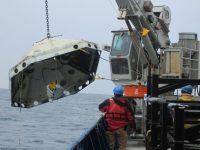 Lamont-Doherty Earth Observatory scientists are loading drones with high-tech instruments and using satellites and undersea cables that are interacting with sensors in some of the most remote locations on Earth to gather data in real time and uncover the secrets of our planet. 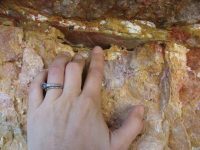 When a fault slips, the temperature can spike by hundreds of degrees, high enough to alter organic compounds in the rocks and leave a signature. Lamont scientists have developed methods to use those organic signatures to reconstruct past earthquakes and better understand what controls them. 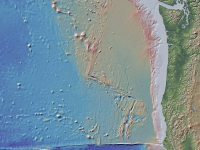 Off the coast of New Zealand, there is an area where earthquakes can happen in slow-motion as two tectonic plates grind past one another. These slow-slip events create an ideal lab for studying fault behavior along the shallow portion of subduction zones. The Arctic is warming twice as fast as the rest of the planet, and scientists are seeing the effects across ice and ecosystems. Lamont-Doherty Earth Observatory’s Marco Tedesco describes the changes underway. The Interdisciplinary Earth Data Alliance is fueling groundbreaking multi-disciplinary discoveries worldwide. 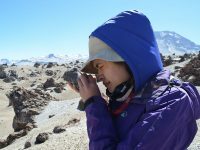 “This is a new era of data mining,” says IEDA Director Kerstin Lehnert, a geochemist at Lamont-Doherty Earth Observatory. 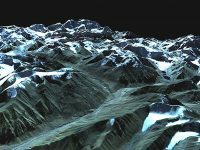 Declassified spy satellite images are beginning to provide the first consistent look at how glaciers across the Himalayas are changing and what future water supplies might look like for millions of people. 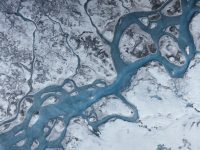 Earth scientists from around the world will be in San Francisco next week to share their latest discoveries at the American Geophysical Union’s fall meeting. 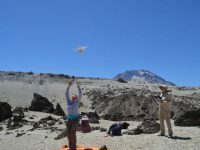 You can watch several of their presentations live online through AGU On-Demand, including seven involving scientists from Lamont-Doherty Earth Observatory. When Permafrost Melts, What Happens to All That Stored Carbon? 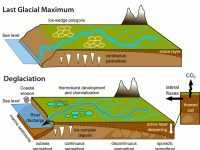 A new study documents evidence of a massive release of carbon from Siberian permafrost as temperatures rose at the end of the last ice age. 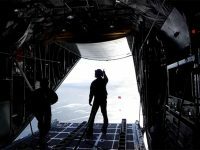 The first of six ALAMO floats parachuted into the Ross Sea off Antarctica to begin profiling the water in a check for areas where warmer than normal water could put the Ross Ice Shelf at risk.